Edinburgh is a perfect city for architecture lovers, cultural travelers ánd Harry Potter fans. The people of Edinburgh are friendly and (something that's important for me when traveling) the city is quite compact so you can go pretty much anywhere on foot. 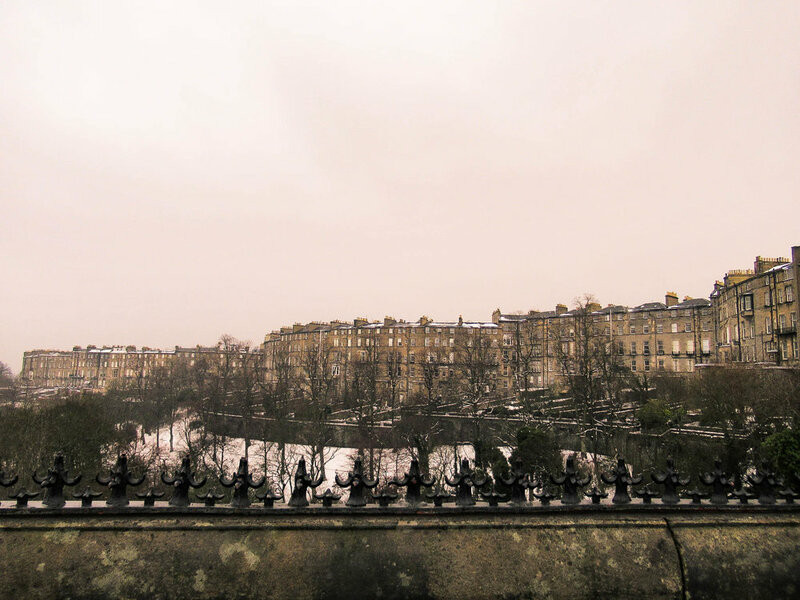 I was in Edinburgh in the winter, which was dreamlike and quite an experience (you can see/read more of that in my photo diary) but I'm certain that no matter what season you travel in, Edinburgh is a delight for all kind of travelers. Here are some tips on everyting this amazing city has to offer. And since The Nordroom is mainly a design blog it comes as no surprise that The Principal Hotel Charlotte Square is packed with style. The hotel is located in seven inter-connecting Georgian townhouses and the hotel maintained many historic details. I absolutely loved the vintage vibe you find throughout the hotel, from turn of the century chairs to an old spiraling staircase. 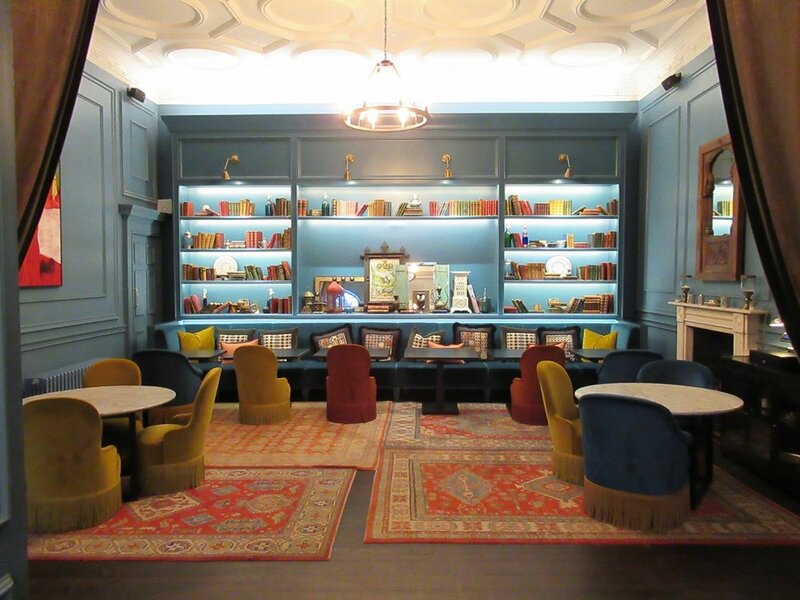 If you love (historic) design, you'll love this hotel. On top of all this the staff in this hotel is absolutely amazing. A porter will take your luggage while you check-in and after you've received your roomkey you will be escorted to your room. I booked a normal double room for my stay. Even though the room I had been given was beautiful and spacious, I didn't feel comfortable because it was an attic room. I plucked up some courage to ask for a change of room (really I always feel like such a bother if I want to request something) but the staff couldn't have been more friendly. They even took me to see 2 different rooms that were available so I could pick my favourite. That's how I ended up with a slightly bigger room that was completely to my taste. Apart from the wonderful design, there's also 'treat box' in every room with some yummie things to eat (bonus points for The Principal Hotel). There’s so much to see & do in Edinburgh. From quiet strolls by the waterside to museums and Harry Potter sights. Here are my tips! Dean Village is no longer a secret spot in Edinburgh. This picturesque area in Edinburgh is perfect for taking pictures and a quiet stroll near the water of Leith. Dean Village is located only minutes away from the busiest street in Edinburgh; Queensferry Road and the contrast is huge. Dean Village truly feels like a quiet village with narrow roads and no matter where you are you can hear the water flow. As you can see when I was in Dean Village the snow was still lying on the grounds which was a magical sight. But I can imagine Dean Village in spring and summertime must be an absolutely wonderful green haven. Circus Lane is one of those streets that pops up on pretty much every travelers instagram. The curved street has traditional mews homes and it's the perfect spot for some beautiful photographs. Edinburgh has four National Museums that are all free to visit. The National Galleries of Modern Art are housed in two historic buildings across the road from each other and they've been recently remodeled. These galleries are close to Dean Village so you can combine these two. The National Museum of Scotland (which is located in an amazing architectural building), The Scottish National Galleries and The National Portrait Gallery are all located close to Waverley train station. Between these 4 museums there's definitely one that fits your interests. If you love to hike then I would definitely recommend walking up Arthur's Seat. The hike will take about 40-60 minutes or so and from the top you have an amazing view over the city. If hiking up Arthur's Seat is a but too much for you, or if you don’t have that much time you can always opt for the smaller Calton Hill in Edinburgh. On the hill you will find several iconic monuments and you also have lovely views over the city. The most colourful street in Edinburgh is Victoria Street/West Bow. This lovely street has all kinds of shops and eating places and it is said to be the inspiration for Harry Potter's Diagon Alley. It's located between Grassmarket (the place to be for pubs and restaurants) and The Royal Mile. The Royal Mile is probably the most touristy street of Edinburgh. It's packed with shops that sell 'typical Scottish things'. I walked the Royal Mile on my way to The Palace of Holyrood House and I can't say I enjoyed it very much. It was way too crowded for me, but if you like the hustle and bustle then you should definitely take a look. This one is for all the Harry Potter fans out there. You probably know that J.K. Rowling lived in Ednburgh when she started writing Harry Potter (it is said that she wrote Harry Potter in a café called The Elephant House). And as I already said Victoria Street (above) is one of the inspirations for Diagon Alley. Now if you're up for a slighly more sinister trip then you can go to Geyfriars Kirkyard. This graveyard gave J.K. Rowling quite some inspiration, there is a headstone with Moody (Mad-Eye Moody anyone?) and one for William McGonagall (one of the worst poets of Scotland, but hey at least his name was used for Professor McGonagall). But most importantly there is a grave for a certain Thomas Riddle (hello Lord Voldemort!). If you like to go on an organised tour through Edinburgh than you're in luck because there are several. Including tours that take you under the city including The Mary Kings Close (hidden streets frozen in time in the 17th-century) and Niddry Street Vaults. If you also want to venture outside Edinburgh than Rabbie's Tours has been recommended to me (the tours have a maximum capacity of 16 so it's never too massive). The meadows is a large public park in the Bruntsfield area in Edinburgh. Bruntsfield is a student area so if you want to get away from the tourist crowds and experience Edinburgh in a more local way than this might be a good area. If you have a bit more time on your hands than you can also take a day trip outside Edinburgh. You can search for the Holy Grail at Rosslyn Chapel. The chapel is located about 10km south of Edinburgh and it's perhaps best know from The Da Vinci Code. The 15-century chapel has stunning architecture and the chapel still has weekly services. North Berwick is a picturesque seaside town about 30 minuten outside Edinburgh. Go for a stroll along the beach of eat in one of the many cafe's and restaurants. 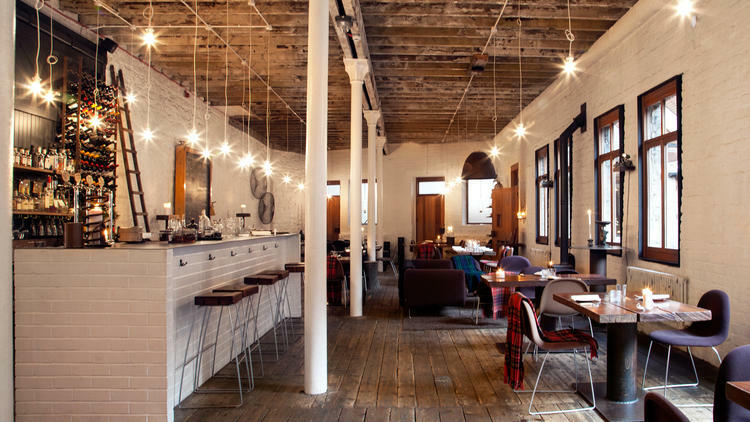 Timberyard is an extremely popular restaurant in the West End in a converted timber yard (no suprise there). With white washed walls and timber roof it looks absolutely amazing. All produce is local and it has a bit of a Nordic feel. The Garderner’s Cottage sits at the foot of Calton Hill. As the name mentions it used to be a garderner’s cottage but now it’s transformed into a restaurant that offers seasonal cooking for brunch, lunch and dinner. For just a quick bite you should definitely look up Söderberg bakery. They have several locations in Edinburgh and they offer traditional Swedish food like pastries, open sandwiches, bread and cake. This art-deco style restaurant lies on St. Andrews Square in the centre of Edinburgh. The restaurant offers British cuisine all day long and the design of the place is very beautiful! I must say, wiriting this post really makes me want to go back to Edinburgh. How about you, are you getting wanderlust for this Scottish city?